2013 marks the 70th anniversary of the Battle of the Atlantic which, running from 1939 to 1945, was the longest campaign of the Second World War, involving thousands of ships in more than 100 convoy battles. The battle of the Atlantic demonstrated the importance of the sea as a highway for transport of raw materials, ammunitions and men to maintain the nation’s security. The successful protection of the Atlantic corridor ultimately led to the fall of Nazi Germany and the end of the war. In 2013 Liverpool is hosting the official 70th anniversary events and the final national commemoration of the Battle of the Atlantic. The events will take place around the city from the 24th – 28th May. As part of these commemorative events FACT has been commissioned by Liverpool City Council to produce a series of creative projects. For the Star Gazing programme VIP have worked with 36 Atlantic Star holders, seamen from both Royal and Merchant Navy, to document their stories and experiences of life at sea during the Battle of the Atlantic. 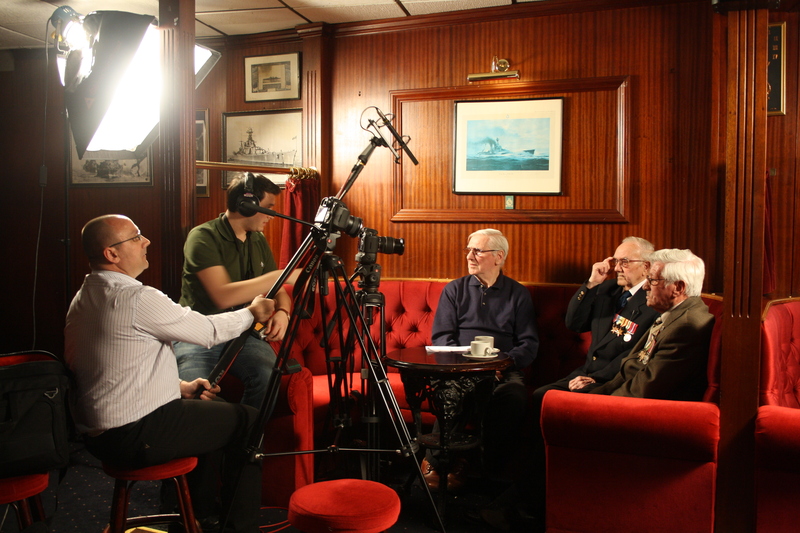 Atlantic Stars is a short documentary, produced by members of VIP with Carl Davies, which follows the journey of VIP in discovering the experiences of local Atlantic Star veterans – from their greatest fears at sea to their celebrations at the end of the war. Star Men is an exhibition of portrait photographs of local Atlantic Star holders, taken by members of VIP with Stephen King. Here’s some blogs from along the way!